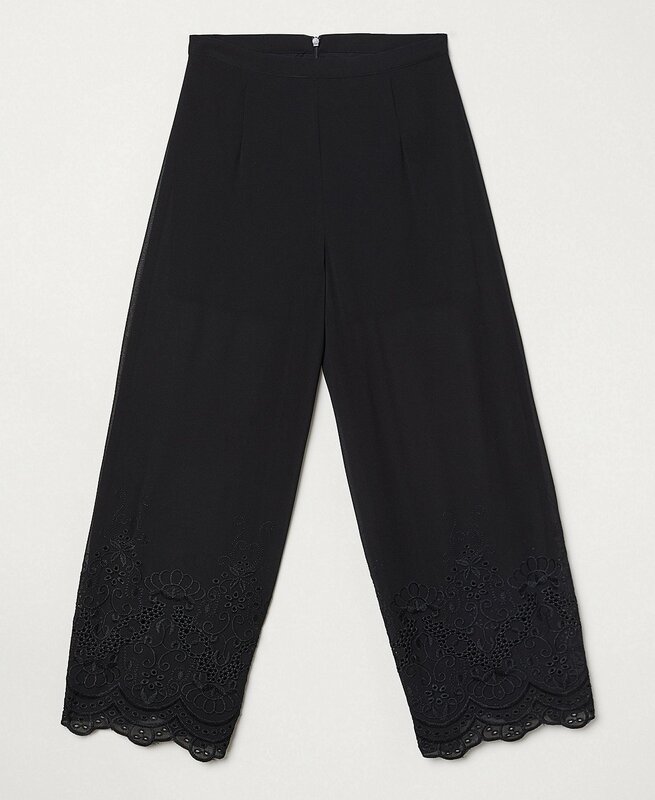 06/04/2019 Oh, these are nice, more see-through than the photo shows, there's a solid short with a mesh trouser leg and the pretty broderie trim. 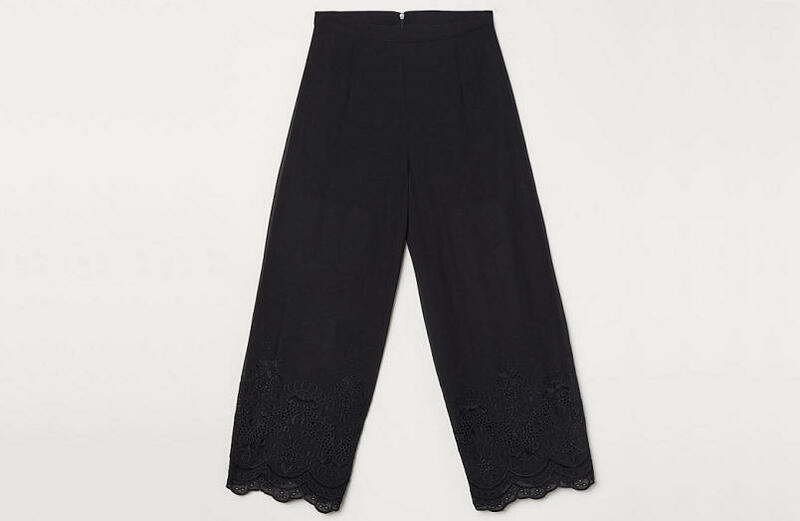 H&M Wide Broderie-trim Trousers, were £34.99, down to £15. The new blues on the nails are from H&M too, Moonchild and Lapis Lazuli, £3.99 each. 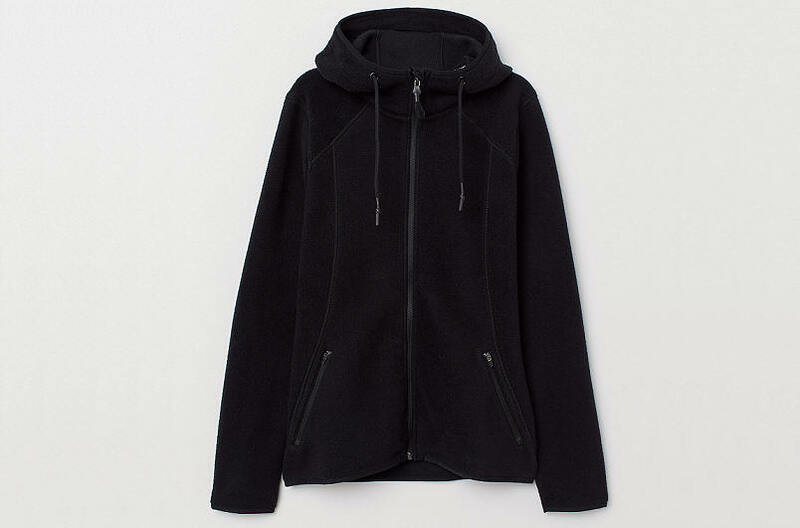 22/03/2019 H&M have recently been pressured into relabeling/resizing their women's garments in a vanity-sizing type way, that along with my recent return to mere-slip-of-a-girl status and the fact that their sizing was always a bit all-over-the-place anyway, has led to much consternation and faffing about with ordering multiple sizes of same garments. I'm currently an Extra Small in some of their stuff, a 6 in tops, a 6 in trousers but a 10 in their frocks, to accommodate my still impressive breasts, though they fit in the size 6 tops. Their sizing is not uniform. 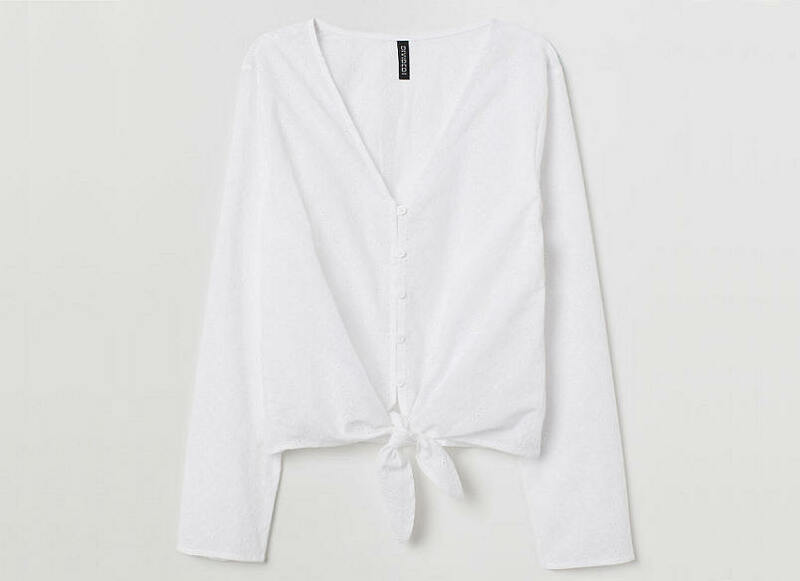 Here are my picks for Summer tops/coverups. 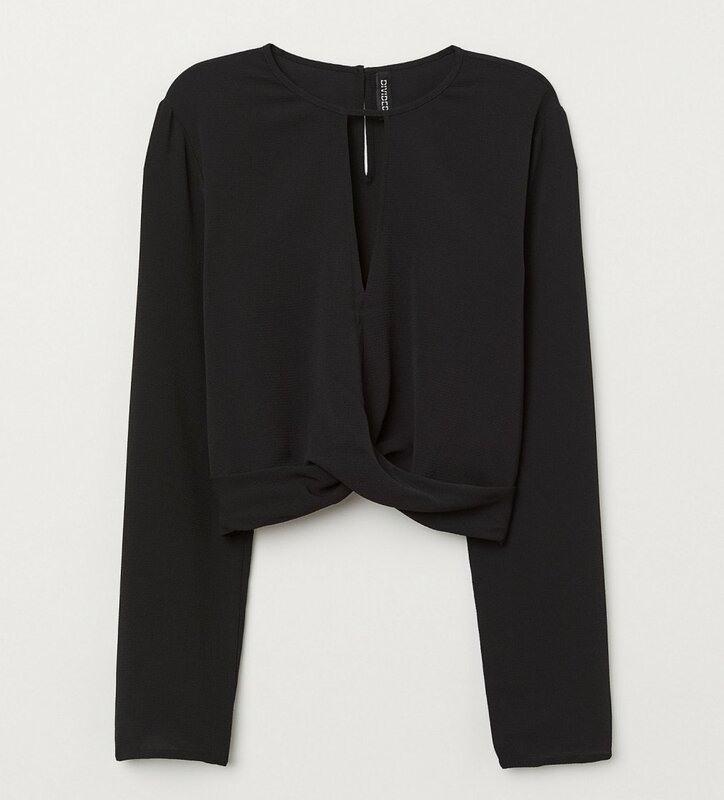 The Tie-hem Viscose Blouse £12.99. 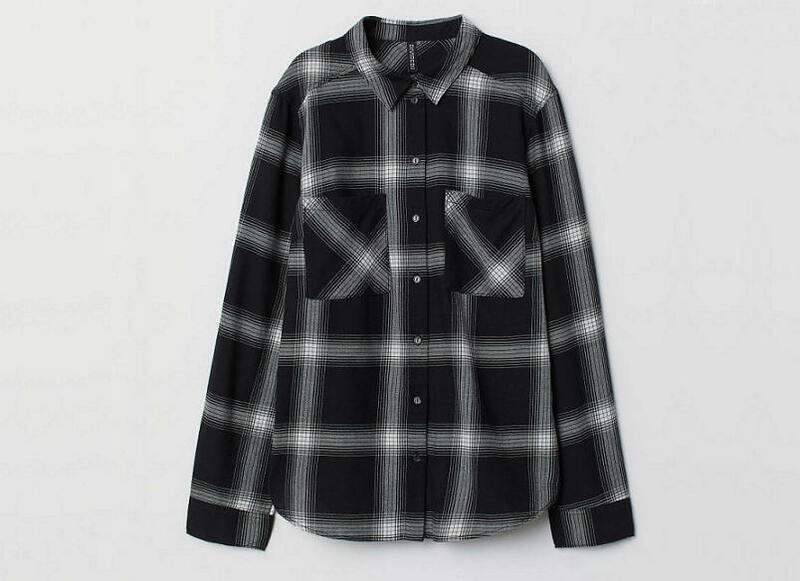 Cotton Shirt in black check £12.99. Tie-front V-neck Blouse in the snake print, £14.99. Broderie Anglaise Blouse in white, £14.99. 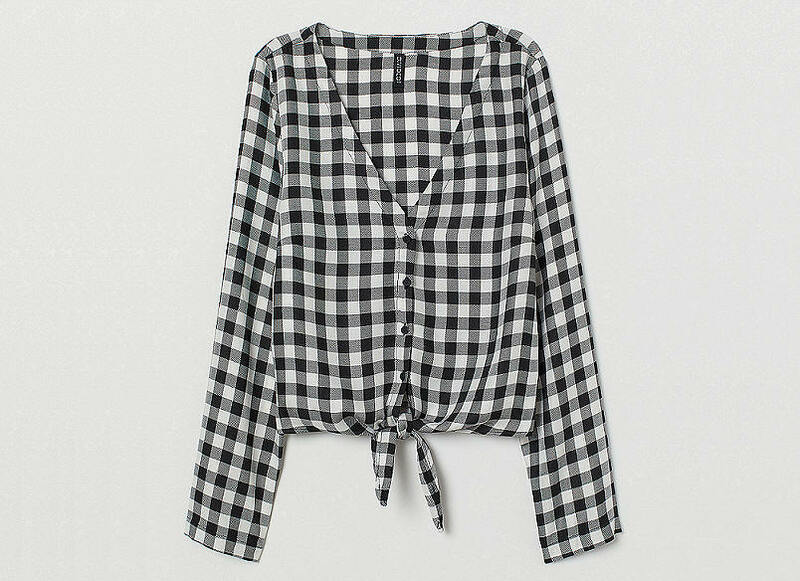 Crêpe Blouse, was £17.99, down to £8. 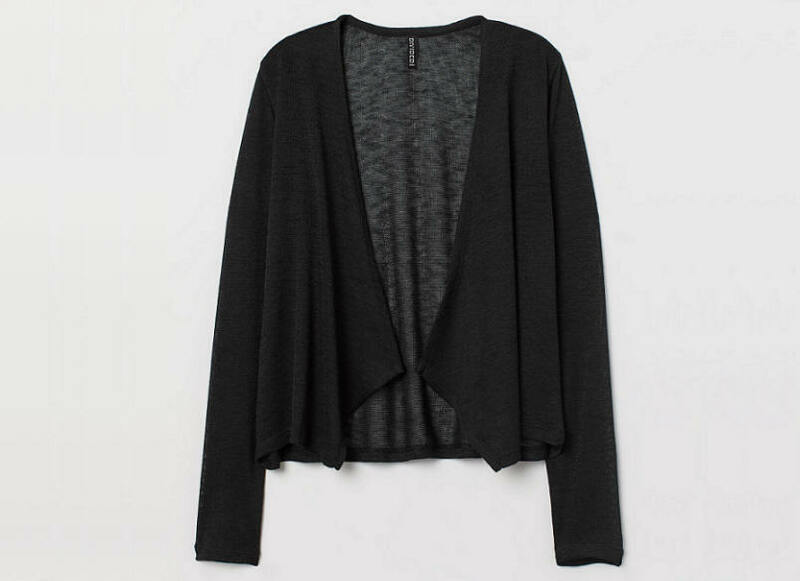 Loose-knit Cardigan £8.99. 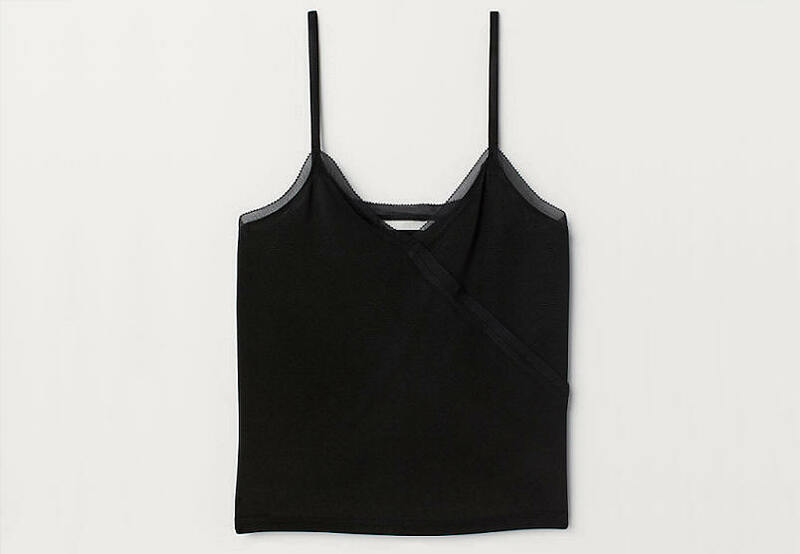 Strappy Top £12.99. All obtained with a healthy 15% discount code. 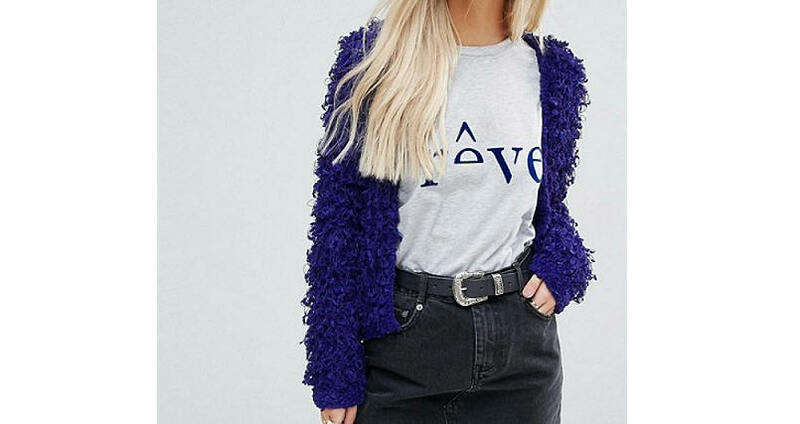 17/03/2019 From ASOS, I love this Petite Cardigan in Crop with Loop Stitch, was £50, down to £25, beautiful blue colour. And the Pretty Little Thing Basic V Neck T-Shirt Dress in black, £8. 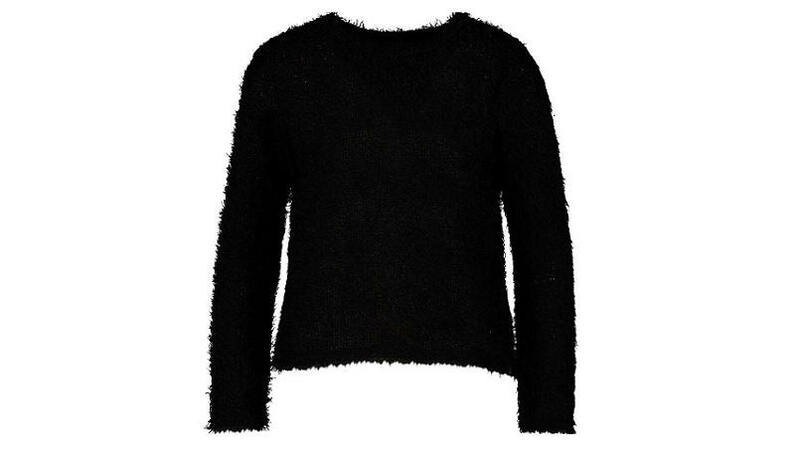 06/03/2019 Staying cozy with a Boohoo Petite Fluffy Knit Jumper £13.50, down from £18. 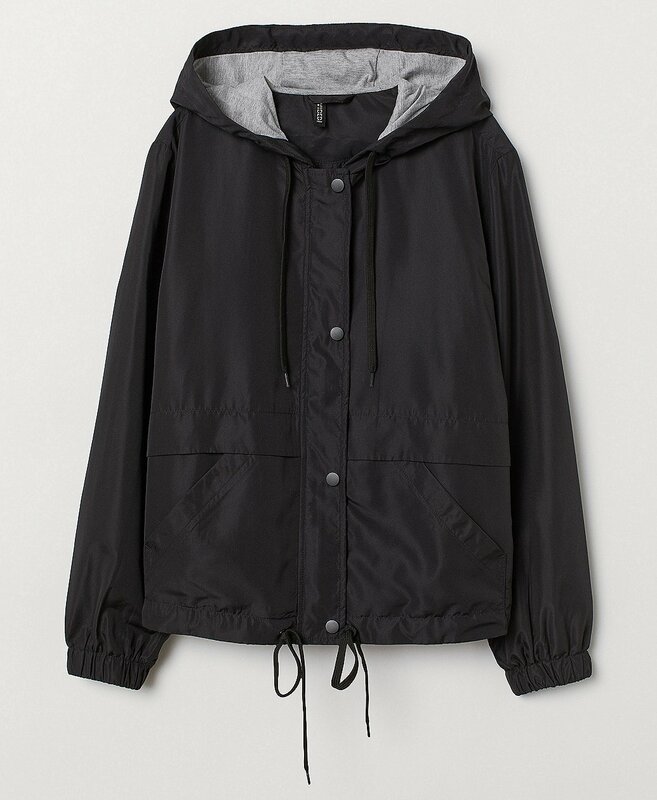 A light Hooded Jacket from H&M for dog walking in the better weather later in the year, £19.99. 10/02/2019 More about the dog walking. Warm socks. 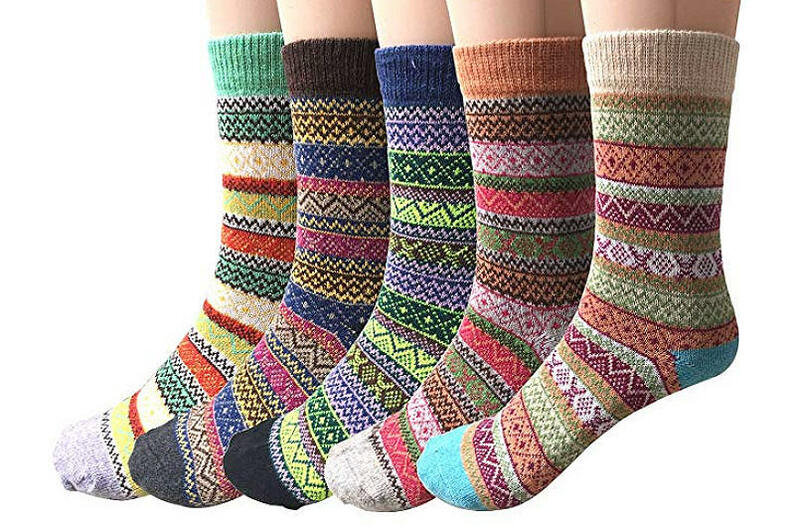 These "5 Pairs Womens Socks Wool Thermal Warm Knitting Ladies Socks for Winter" from Amazon, £8.99, are comfy, cozy and wash well, I like them. As well as an ankle sock I wear an over-the-knee sock over the top of my jeggings. 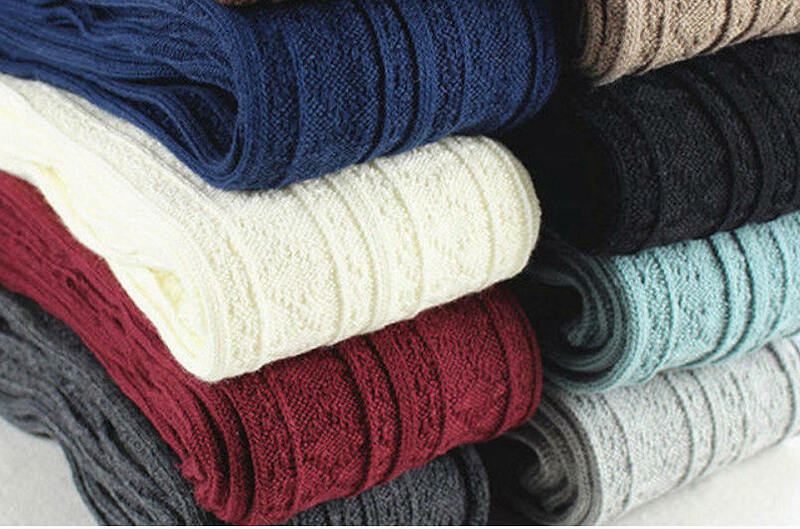 I've tried a load of the long socks, but found the best Winter warm ones on eBay, being sold by someone by the name of light_hm. Really thick cable, really thigh-high long, I got the dark grey and the black, £4.33 a pair. Search for "Extra Long Thigh High Socks Over The Knee OTK Women School Girl Boot Cable LH". 05/02/2019 (Nearly) all about the dog walking, keeping warm and dry. 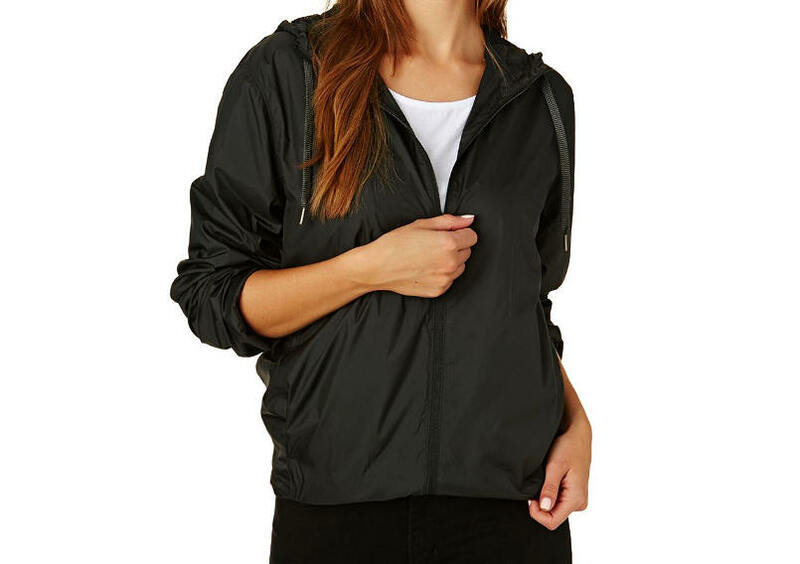 The Swell Ezra Windbreaker Jacket is rain and wind proof, was £54.99, down to £21.99 at Surfdome. 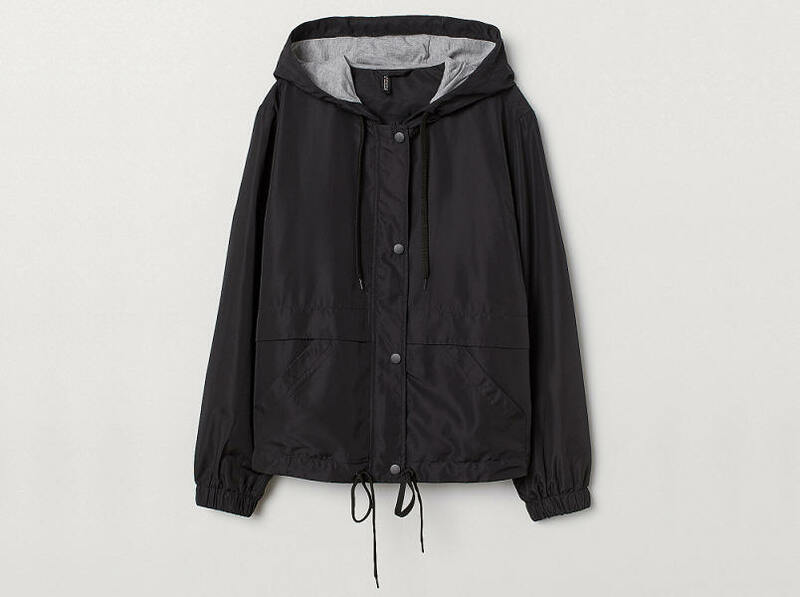 The Tog24 Craven Waterproof Packaway Jacket, £30, down from £75. 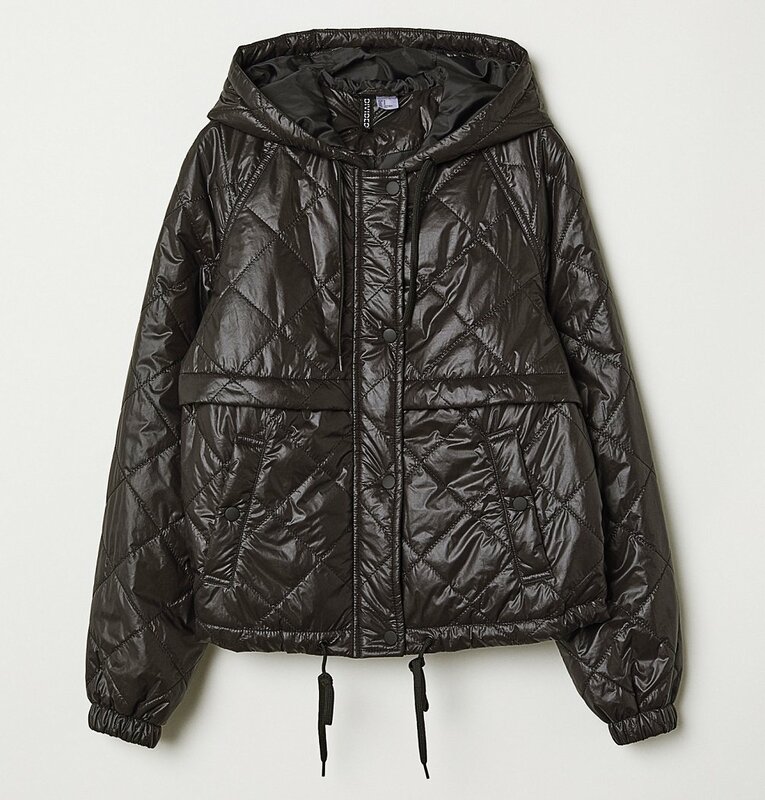 H&M Fleece Outdoor Jacket, £24.99. The Forclaz Travel 500 Women's Wool Long-Sleeved T-Shirt, made from Marino Wool, £19.99 at Decathlon. However, it's not all about the dog walking, to celebrate the tremendous return to slip-of-a-girl status there's the H&M Slip Dress, £14.99. 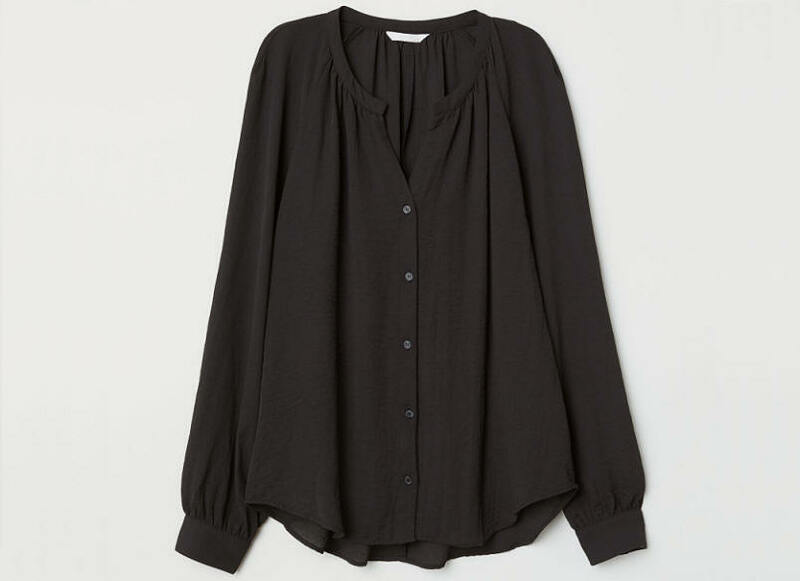 H&M Crepe Blouse £12.99. 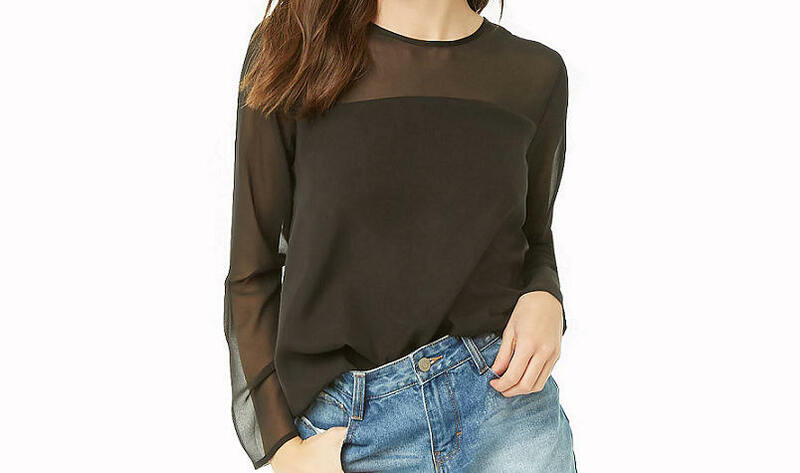 Forever 21 Sheer-Trim Woven Top, £14. 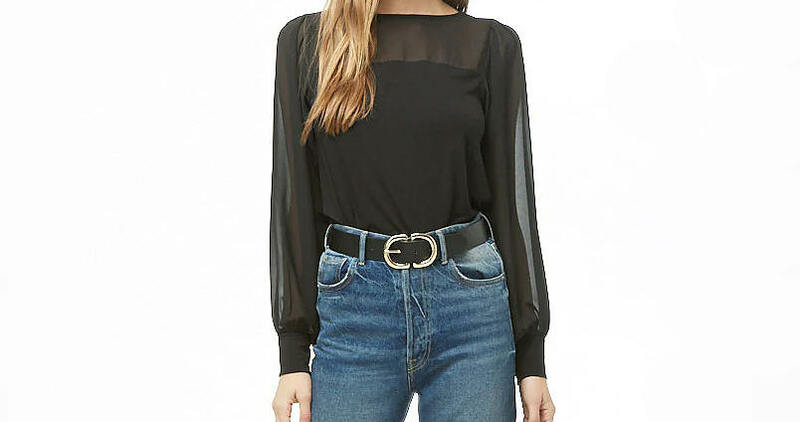 Forever 21 Sheer Combo Top, £17. Forever 21 Round Neck Ts, £6 each. 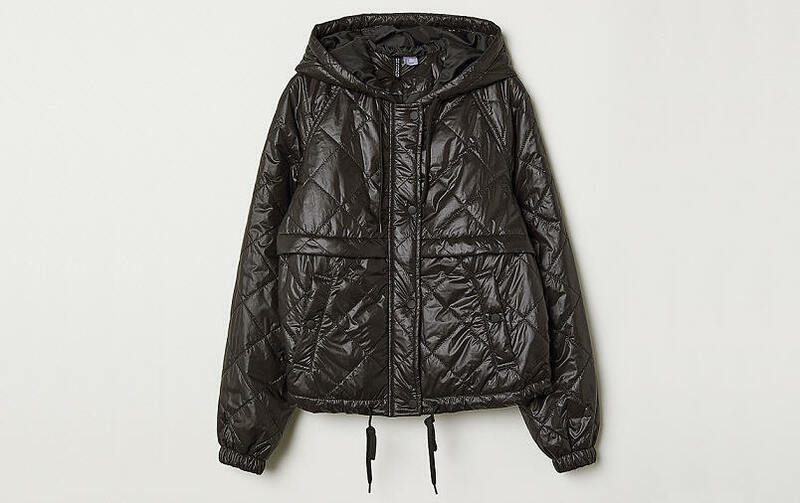 The H&M Izzy Bizu Quilted Jacket with a hood, was £29.99, down to £12.